Just like hurricanes and tornadoes, solar flares are classified on a scale. There are 3 categories, C, M, and X. C being the lowest and X the highest. Each category has gradients from 1 – 10. The Carrington event of 1859 is estimated to have been an X6, the Baptiste Day event in March of 1989,was a low X class flare. Six million Quebec residents were without power for 12 hours. 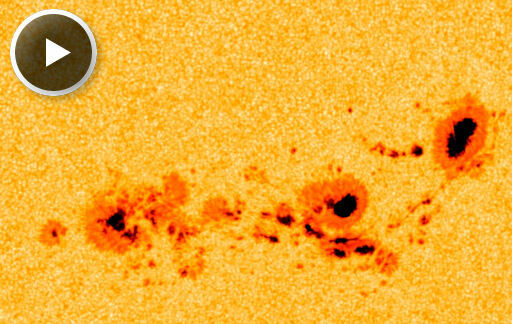 Currently, sunspot AR1515 is flexing its muscle. There’s a 70% chance chance of a high M class, and 10% of an X class flare.